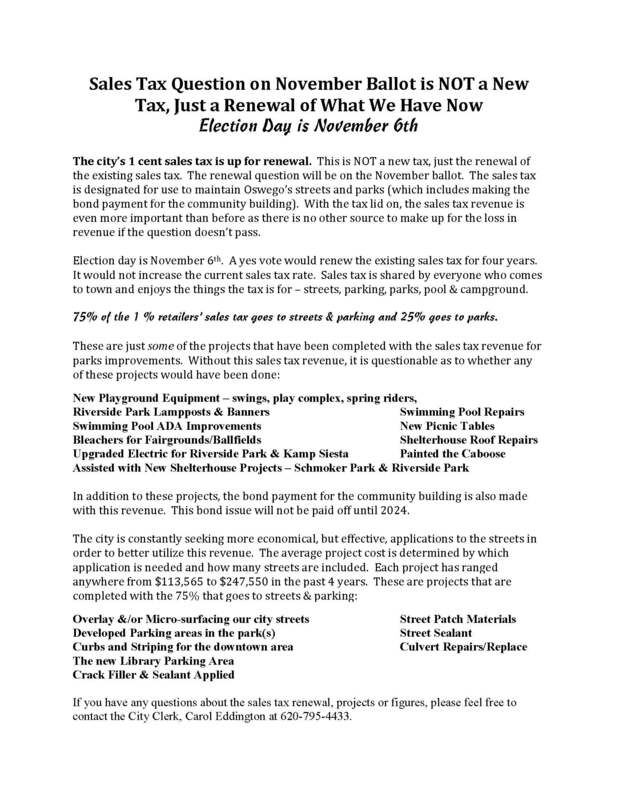 The city’s 1 cent sales tax is up for renewal. This is NOT a new tax, just the renewal of the existing sales tax. The renewal question will be on the November ballot. The sales tax is designated for use to maintain Oswego’s streets and parks (which includes making the bond payment for the community building). With the tax lid on, the sales tax revenue is even more important than before as there is no other source to make up for the loss in revenue if the question doesn’t pass. If you would like more information you can call the City Office or check out the informational flyer.